Ganoderma is show to naturally detoxify your body and strengthen your immune system. Feel more energized and focused! Ganoderma Coffee is the world's best FEEL GOOD coffee beverage. So you might be asking...What is Ganoderma, or "The King of Herbs"? Ganoderma, also called the reishi mushroom or in Chinese ling zhi, is one of the most popular medicinal mushrooms in China, Japan, and the United States. Ganoderma has over 2000 years of documented history validating that Ganoderma Lucidum is the "Miraculous King of Herbs" or "Mushroom of Immortality." There are some 400,000 web pages and third party documentation indicating extensive interest in Ganoderma Lucidum today. Our products are flavored to perfection, and are priced extremely competitive. Western culture has often had mixed views about the use of herbal supplements throughout the years; however for Eastern cultures, it is almost considered a way of life. With people in North America looking for alternatives to better health, the properties and benefits of Ganoderma Lucidum have become of interest and appeal. Ganoderma Lucidum is a mushroom. But not an ordinary Mushroom. A Red Mushroom. A Red Mushroom that dates back over 4,000. Ancient generations prized this mushroom for its medicinal properties … promoting health and well-being. This mushroom is also known as Lingzhi in China, Reishi in Japan, and Youngzhi in Korea. 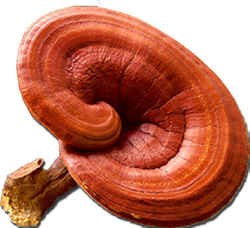 Ganoderma Lucidum is a rare, special mushroom created only when conditions are right. In nature, when the proper nutrients (i.e., dead organic matter or soil) are present with the appropriate environmental conditions, Ganoderma Lucidum will exist. Ganoderma will grow in densely wooded mountain forests of high humidity and dim lighting, and typically, on dried trunks of dead trees. According to research, out of 10,000 dead tree trunks, only about 2 or 3 will show a growth of Ganoderma. For this reason, this particular species of mushroom has been very scarce. How notable and valuable is Ganoderma? The first Emperor of the Chin Dynasty (221-206 BCE) sent 500 attractive men and 500 beautiful women in search of this herb said to be located on a mysterious island. They never returned. Legend says it was these people who colonized Japan. 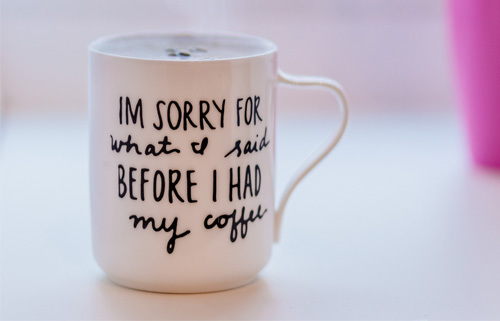 BuyGanodermaCoffeeOnline.com offers you the ability to consume high quality, affordable Ganoderma Coffee products without any autoships or middlemen! Buy Direct & Save!